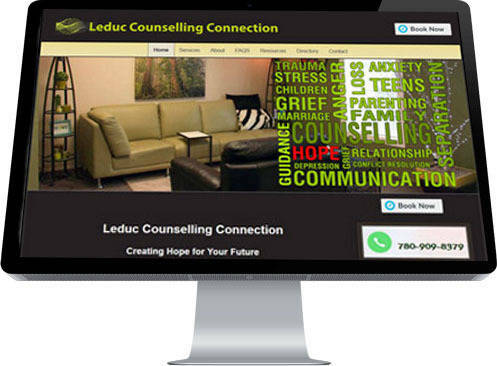 Colette Hayes of Leduc Counselling Connection came to Industrial NetMedia looking for a refresh on her older website. She wanted a polished, professional look as befitting her serious mental wellness and conflict resolution practice. The biggest challenge, however, was to be able to showcase all the different disciplines in which Ms. Hayes held proficiencies and to provide a quick and easy method of booking appointments. INM's team of creative web designers quickly went to work and developed the following site which we are happy to report the client was very satisfied with the end result.